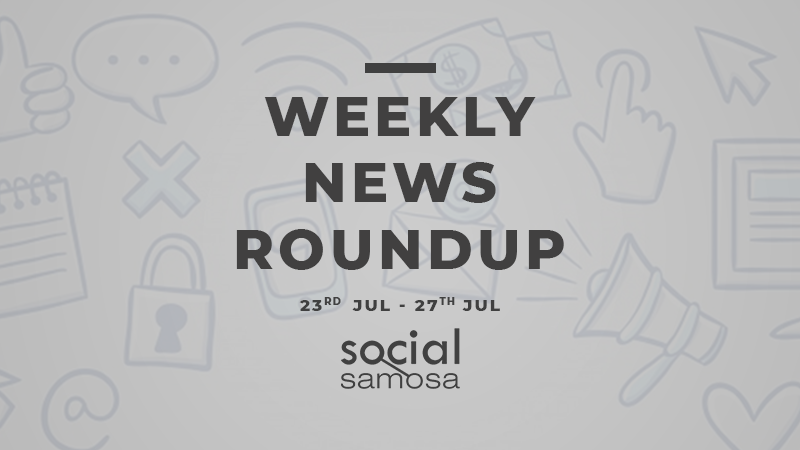 This week’s social media news was dominated by the introduction of new features, changes in the security options and updates on Facebook, Instagram and LinkedIn, Twitter and Snapchat. With the aim to amp up the ads spends game by connecting brands with the content creators, Snapchat has finally joined the race of facilitating the platform for content creators and influencers. In the latest update, Snapchat has introduced ‘Snapchat Storytellers’ which will showcase popular Snapchatters or content creators to help brands connect with them. Read more about it here. Linkedin is announcing a redesigned reporting experience for LinkedIn Campaign Manager, making it easier to understand how your campaigns are performing and quickly optimize for better results. Starting next week, this new interface will deliver a clean and intuitive experience that lets you more easily manage your campaigns. Read more about it here. Facebook has launched a new feature called ‘Watch Party’ which will allow people sharing a mutual group to stream videos together in real time. It will now starting to test the ability for people to start Watch Parties with friends outside of groups too and will explore Watch Parties for Pages in the future. Read more about it here. As Twitter has outlined in its Twitter APIs platform roadmap, they are committed to providing the platform access to developers whose products and services make Twitter a better place. However, recognizing the challenges facing Twitter and the public — from spam and malicious automation to surveillance and invasions of privacy— it is taking additional steps to ensure that its developer platform works the best. Read more about it here. Revising their age policies are social media giants like Facebook, Instagram and now Twitter in an attempt to not letting underage masses be exposed to extreme content. Read more about it here. In an attempt to make our browsing more effective across the platform, YouTube is experimenting with an ‘Explore’ option on its app. With this update, YouTube is targeting at audience growth as people access a wider variety of content. Read more about it here. Instagram and its parent company Facebook are moderating accounts of those under 13 and attempt to lock those accounts on the platforms. Instagram and Facebook Age Policy are in for a change. In a recent development, Facebook and Instagram will be revising it’s age policies and will proactively lock the accounts of users its moderators encounter for being potentially underage irrespective of what they are reported for. Read more about it here. With 1.9 billion logged-in users coming to YouTube each month, it’s community continues to grow. The company has announced priority updates making YouTube monetization options more efficient for content creators. Read more about it here.